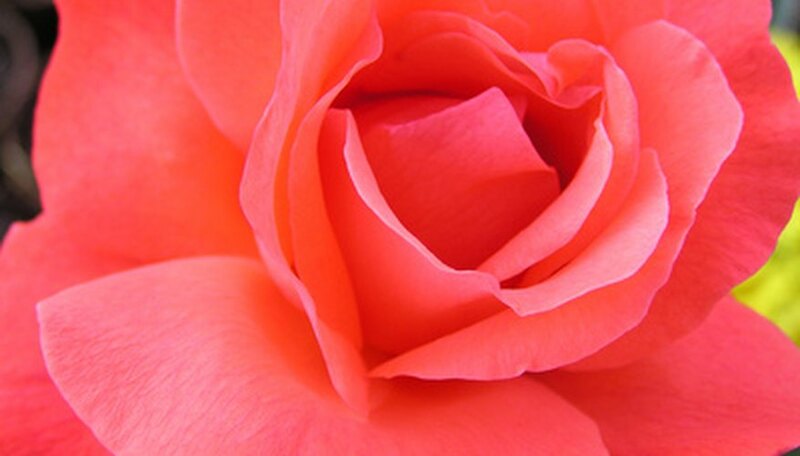 The world’s first hybrid tea rose, created in France in 1867, was a cross between a tea and a hybrid perpetual rose. Now the world’s most popular rose, hybrid teas have large, repeat blooming flowers on long stems in hundreds of color combinations. There are thousands of hybrid teas to choose from to suit any gardener’s taste and landscape. These six award-winners thrive in USDA Hardiness Zones 5 to 9. A classic hybrid tea rose is the Peace, or Rosa "Madame A. Meilland." Created by French horticulturalist Francis Meilland in 1945, the original Peace has masses of large, long-lasting flowers from ivory to yellow-edged in delicate pink, growing singly on strong, straight stems in a disease-resistant, 6-foot bush. Blooms have a high pointed center with a strong fragrance excellent for cut flowers, making the Peace popular in the floral trade as well as in home gardens. Mister Lincoln is one of the most popular hybrid tea roses and an All-American Rose Selection. It has velvety, deep red petals with dark canes and forest green leaves. It brings the essential red rose to a home garden, combining color with a strong fragrance. A long-lasting cut flower, it blooms continuously, giving gardeners a perpetual bouquet of long-stemmed red roses both inside and outside the home. Double Delight is a dual colored hybrid tea with strikingly beautiful double blooms and a sweet spicy perfume. Double Delight is descended from the Peace rose and shares its strong, disease-resistant foliage and long stems. The inner petals are creamy ivory with a hint of pink, while the edges are brushed with crimson. It grows to 5 feet and blooms continuously. Rose-loving entertainer Barbra Streisand picked the rose that bears her name, choosing a hybrid tea with large lavender flowers that has a strong, sweet rose and citrus fragrance. The double blooms are set off by deep, glossy green leaves on a strong, vigorous bush. These are excellent cut flowers that can perfume a whole house. Add color to your rose garden with the apricot-petaled Just Joey hybrid tea. Loose double flowers grow up to 6 inches wide and combine buff orange with a soft apricot made more dramatic by the ruffled edges. An excellent cut flower, its powerful fruity fragrance appeals in both gardens and bouquets. The foliage is glossy green and disease-resistant, setting off clusters of rich apricot petals that fade to a peachy pink. A perfect white rose for your garden is the creamy white, classically shaped Pascali. The large double blooms are lightly scented and bloom continuously on tall stems. The foliage is dense and deep green and the bush will grow up to 5 feet high.